If I read it in my teens I'd probably have totally doted on it! I'm much calmer now, but it's still great! I read this book years ago and loved it! The story of the father skipping the boring parts is so sweet and just adds to the book's charm. Have you seen the movie? Of course I watched the movie as soon as I finished the book, and I think it's a wonderful adaptation! I'm with Emily, time for a reread for me too. 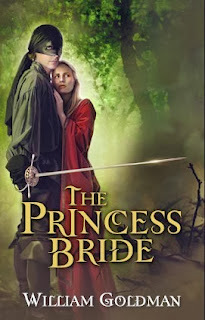 I grew up with the movie (when the movie was new and out of print books were harder to come by) and it wasn't until I reached college that I realized that The Princess Bride actually *was* a book. Wonderful, simply wonderful. I'm glad to know you gave the movie a chance too. See, I told you he was dead and undead, and inconceivable! I need to read it again someday. I LOVED this book...as well as the movie, of course. It's a classic fave.